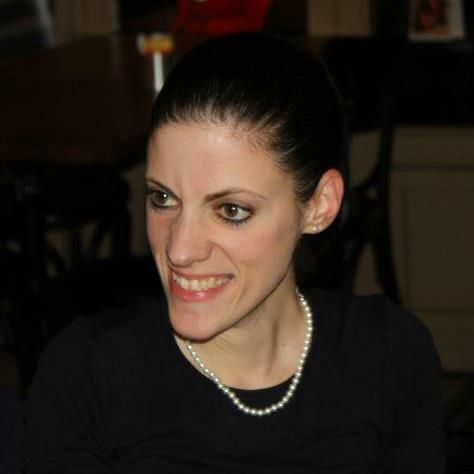 My name is Vicky Loras and I am an English teacher, born in the beautiful city of Toronto, Canada – my parents are of Greek origin and emigrated to Canada when they were very young. I have been teaching English (as a foreign language and literature) to students of all ages, since 1997. For ten years, my sisters (Eugenia and Christine) and I owned an English School in Greece, The Loras English Academy, but I have now moved with my eldest sister to Switzerland, where I continue to work as an English teacher. We founded The Loras English Network in 2012 – our school, where we teach English, train teachers and hold children’s events. I believe in teaching as an ongoing learning process, both for the benefit of the students and the teacher. For that reason I love attending workshops and conferences! I feel so motivated and inspired by them. I also present at conferences. You will find the transcripts and slideshows of my talks in Switzerland and abroad on my Presentations page. One of my primary educational interests is celebrating diversity and culture in the classroom. I love what Barry Tomalin has said about culture being the fifth skill in the classroom! I am the proud aunt and godmother to my sister Eugenia’s children, Maggie (12) and Nicholas (8)! Maggie loves animals and drawing, and wants to be a movie animator when she grows up. Nicholas is fascinated by trains (we have lots of those in Switzerland!) and any kind of vehicle – and also plays hockey. My little sister Christine also has a child, James (2) – I cannot wait to see what he likes as he grows! So far, he enjoys being read to, and loves farm animals and any kind of musical instrument : ) Christine also had another baby in June 2017, little Mary! I am very happy that they love books as much as I do. I love spending time with them whenever possible – Maggie, Nicholas, James and I love reading books together! As all children do, they love listening to stories and learning about the world. Watching them grow has helped me truly understand how important everything we say and do every day influences children and plays a great role in their lives. My nieces, nephews and the children I teach help me become a better person and educator. I also love reading about the English profession and education in general – about new methods, approaches, theory and practice. One of the books I loved reading was Proust and the Squid by Maryanne Wolf, which is a history of the reading brain. Another favourite is Motivational Strategies in the Language Classroom by Zoltán Dörnyei. My favourite movie (I have lost count of how many times I have seen it) is Amelie (Le Fabuleux Destin d’Amelie Poulain), a French film by Jean-Pierre Jeunet. The soundtrack of the movie is one of the playlists I play when I like to relax. (I love the French language! I would like to improve it and have more chances of practising it though.) I love watching films in languages I do not understand! European films are my favourite. I also like visiting museums, art galleries and I am currently making short trips around Switzerland, to try to get to know the country, the people and the languages and dialects even more – I love Switzerland and Swiss people! They are so warm and friendly. My favourite music comes from the 80s – and Duran Duran are my top band of all time! Thanks for the follow. Looking forward to reading your blogs. Hi Nancy and thank you very much! Thanks for linking to my site. I’ve just set up Google Webmaster tools and saw your blog. I’m about to take a look now. Cheers! Your blog is very interesting! I only read some of the articles and find them very useful and full with information! Hi Panos and thank you so much! I was very moved to see your comment on my blog – it was the best surprise in the world! You and your sister Helen, as well as all the students I have taught in Greece are always in my heart! I am so glad you like the posts. I send you and your wonderful family all my love! Thank you so much Panos! I can’t believe it! I left you teaching in Ioannina and now I discover your excellent (and very interesting!) blog from Switzerland! I really enjoyed your posts and I’m looking forward to the future ones! Maria, I can’t believe it either! Wow – you found me and my blog! I am so glad you liked it. I was thinking about you the other day as it was your birthday – Happy Birthday and many happy returns! I am going to contact you as soon as possible. Thank you for your kind words about my posts. I must get back to writing soon! I send you a lot of hugs from Switzerland and thank you once again! Happy new year 2011 to you! I’m from Nepal. I’ve been preparing to take the CELTA course, may be in late January here in Belfast, Northern Ireland. I worked as a paramedic for a decade in civil service and jumped into teaching after doing MA in English literature for my home country. I’m not quite sure whether the CELTA course and TEFL career is for me but I cannot not do it as I have no alternative. I still feel lack of confidence in using English which will probably hamper grade. I want to be in touch with experienced teachers and I hope to get suggestions about TEFL job and teaching tips from you. I look forward to hearing from you. Hello Hom and Happy New Year to you too! Thank you for leaving a message on my blog. It is wonderful that you have decided to do a CELTA (I would like to do it as well some day!). If you would like my advice, you can learn a great deal from other teachers around the world. If you take a look at my blogroll, I have there all the blogs I like and learn and have learned a lot from. What has completely changed me as an educator and person, though is joining Twitter. If you join Twitter, you will marvel at the number of fantastic educators from all over the world and the many discussions you can join in. This year I was very fortunate to meet some of these educators in person at a conference in France and we were all ecstatic – plus we have become friends and will keep in touch. If you need absolutely anything concerning education, please do not hesitate to ask either myself or other educators. It is the best way to learn! And your English is marvellous! Happy New Year to you and your sister, Helen, and all the people who are your loved ones. Firstly, thank you kindly for your generous comments you left behind on my blog. I usually respond to people who take the effort to leave a comment, but your words were so beautiful I knew I had to let them stand alone, unblemished, by any clumsy efforts on my part to say, “Thank you”. I will stop by from time to time to read your blog posts. I find them fascinating, brilliantly written, and very practical. Thank you very much for your comment. It is very kind of you to write these nice words about my blog! I apologise as I have had to edit this reply, which for some unknown reason had remained in my Draft file. Thank you very much for the invaluable information and marvellous remark. This is one way of my interacting with the experts and professionals. Few paragraphs in Anita’s blog where she’s mentioned the difficulties of power cut and pain of being disconnected from the apparent global village remind me of eleven hours’ power cut which is popularly known as loadshading in my home town. I wonder if you could suggest me anyting specific to tap into from the vast databases and hundreds of books as I have only two weeks before I do intensive CELTA to be able to use English language as a trainee teacher. I didn’t find resourses to learn classroom English, I mean the language a teacher needs to know to properly handle the class. I’ve just started diving into this webhead world and your name keeps popping up all over. Your tweets have great energy and the blog looks great too. Thanks for all you’re putting out there. Thank you very much for your kind words. It is a great world, this webhead world! The past year I have learned so much. I wish you a great academic year and many thanks again! Many thanks for your comment, your kind words and for reading my blog! First of all, I would like to wish you all the best in the new turn in your career – it sounds very exciting and good luck with your book! I would love to read it (and I never say no to books – I am sure yours will be very interesting!). What a great idea to write exercises to accompany the book. I would love to look at those as well. I sometimes write reviews for the ETAS journal so you might see some of my writing there as well. I got it: benefit is the key word in learning and teaching English. Many thanks for visiting my blog and leaving a comment! BTW, whereabouts in Switzerland do you teach. I’m in Valais (Wallis), right in the middle of the Alps. Thanks so much for reading and commenting! I am very happy we have found each other – a pity we didn’t meet at the ETAS AGM, but I will definitely be at the next one in Yverdon. Will you come to Zug (Which is where I live) for the SIG Day, this Saturday? If so, I hope to meet you here! Wow, I have heard a lot of great things about Wallis, haven’t visited yet! One of my students is from there. He is trying to teach me Walliser Tuutsch : ) I also hope to visit Estonia one day, so many places I’d love to go to! So really hope to see you soon, Sirja! So nice to hear news from you and Ada, super news!!! Congratulations from Eugenia and me, we are so proud of both of you! We also miss you very much and we talk about all of you all the time. We love you very much and thank you so much for your wonderful words. I just had the chance to check your blog and I wanted to share that I really like it..
Nice to discover your blog. You do not know me directly but I have been living in Ioannina for 18 years and teaching children and adults in various schools. This experience has been most fruitful, I also attended many seminars and I now moved to Brussels where I am so nostalgic of Ioannina and it’s beautiful surroundings. All my friends are still over there. I wonder if I will be able to stay in Belgium that in many aspects is very different from what I have known. I share your love for Orhan Pamuk and die to visit Constantinople for I read his last book that I recommend to you in case you have not read it yet: The museum of innocence. I made a very interesting linguistic discovery over here: look it up on internet: a school for children from 3 until 11 years old; the Tutti Frutti school. They have a wonderful approach to language teaching, and their school is manned by multi-talented people. Their book might be found in Switzerland or you can order it directly from the school. I have been teaching for them in public schools over here. I intend to publish a small book myself. I just need an illustrator but might get around that by having my school kids participating in the project. When it is ready, I’ll get back to you! Thanks for your boosting blog! Anna Noterdaeme – Zoniou (By the way kai alla Ellhnika, I think your uncle is the godfather of my brother in law!!!). Many many thanks for your comment and kind words : ) I am very happy to hear from you and that you are doing well in Belgium. I would be very interested in reading your book! I have read all of Pamuk’s books, except Cevdet Bey and Sons, which I hope to read soon : ) I am going to Istanbul for the first time this December! Hello again, according to my husband, it must be your uncle Anestis! Have a nice day, and waw for Istanbul! Thank you ever so much for your lovely words, Anastasiia! Hi Vicky! It’s quite been long. Hope you’re doing great. I also love the movie Amélie, I watched it in french of course, a thousand times!